(10) MAC Solenoid Valves With Circuit Bar 34B-AAA-GDDO-AKJ9 + 44B-AAA-GEUO-1KJ9 . New Life Scientific, Inc. 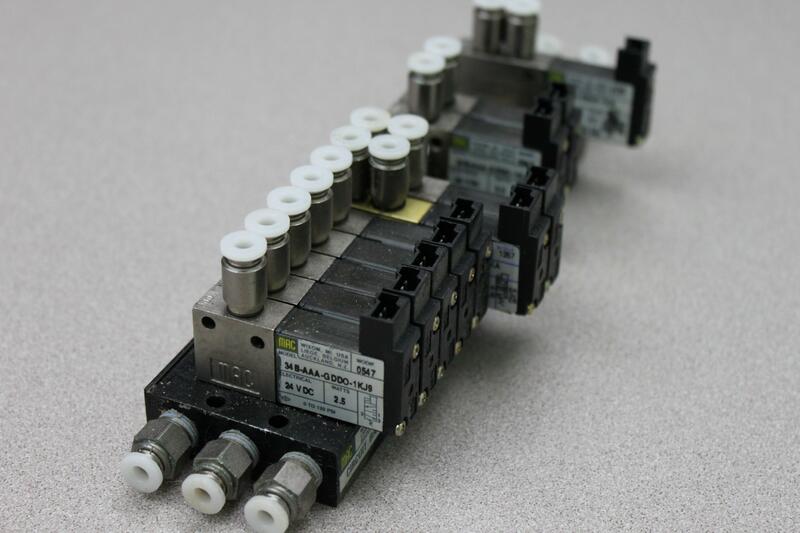 These ten MAC Solenoid Valves were taken from a non-functioning Dionex 300 Accelerated Solvent Extractor.